try to update your drive's firmware is there's one for it http://www.firmwarehq.com/ . yepp, thats why i dont run AV's anymore. been 2 years already at least... too much problems and conflicts and not cutting it anymore,,, i protect my PC's using ==> Fortres Grand CLean SLate MalWare free ever since! 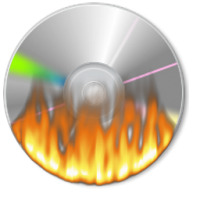 its been asked many many times over the years now... Just create an ISO of your disc and then Burn it. Imgburn also gives lazy people the ability to queue their created ISO and then also delete it after the burning is completed!! CheckMark add to write queue when done the option is located under "read speed" bottom right u can also press CTRL + SHIFT + P to go back to main menu missing anything else? Changing Firefox options folder location? im puzzled as to why it doesnt work for you. i showed u the pics, it does work. i never use alcohol 52%... i dont like the SPTD driver it installs on PC's.. i use Virtual Clone drive!! http://forums.comodo.com/defense-sandbox-help-cis/defense-causes-problems-with-alcohol-120-resolved-t62745.0.html;msg443849#msg443849 and its not about defense + dbminter! i said, set COMODO's FIREWALL SECURITY LEVEL to --> CUSTOM POLICY not DEFENSE+'s policy.... and actually, i even disable DEFENSE+ completely.. too much windows pop up when its on ive been using COMODO for like ALL my life, it never bugged on me and it always asked which apps can or can not access the web. lets try this, send me the app that comodo failed to block it from accessing the web.